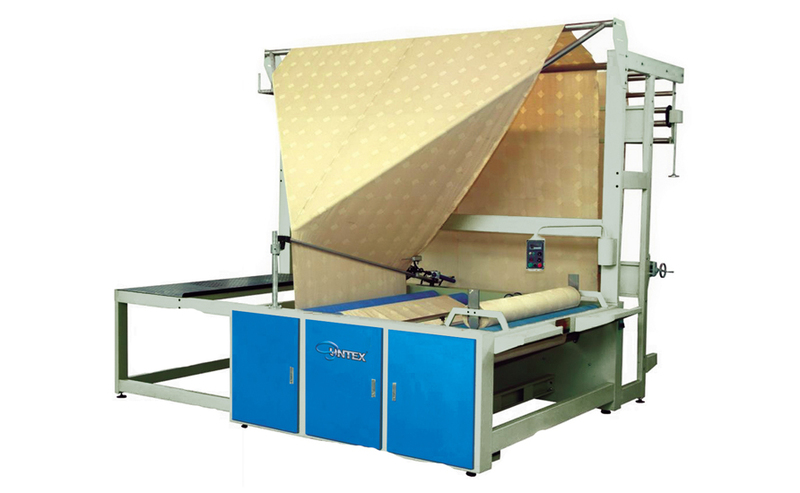 ST-DFRM Fabric Folding Machine is for woven, tulle, jacquard ... fabrics. This machine can be supplied to operate from plait/loose fabrics to roll, or with various other fabric inlet options. 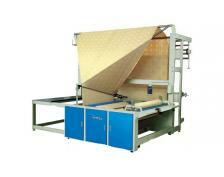 ST-DFRM Fabric Folding Machine is for woven, tulle, jacquard ... fabrics. 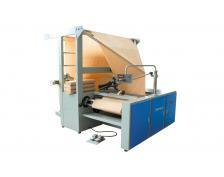 This machine can be supplied to operate from plait/loose fabrics to roll,or with various other fabric inlet options. 1). Doubling, rolling, measuring any type of fabrics with inlet from plait/loose fabrics, rolls or batchers and with outlet on rolls. 2). For proper folding, special systems for thin and sensitive fabrics. 3). Automatic alignment of selvedge on the doubling triangle with very sensitive and precise photo-electric guide. 4). Reliable measuring with electronic calibrated counter meter system. 5). Hard or loose folding feature, due to torque controlled, from inlet of fabric to end of the roll.